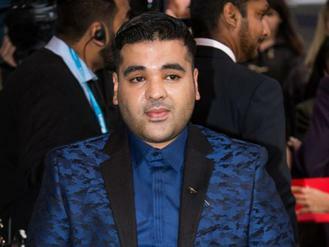 Shahid Khan, better known by his stage name Naughty Boy, is a producer, songwriter and DJ who has worked with A-listers including Beyoncé, Emeli Sandé and former One Direction star Zayn Malik. In 2013, Naughty Boy topped the UK singles chart with his single “La La La”, which featured Sam Smith. But recording artists who head to his studio leave not only with a batch of potentially chart-topping hits, but a full tummy, too. When he’s not laying down tracks such as “Runnin’ (Lose It All)” with Beyoncé, Khan can be found hard at work in the kitchen, rustling up a curry or a cottage pie. Khan, 30, who set up his music business with money from The Prince’s Trust and £44,000 won on the Channel 4 gameshow Deal or No Deal, enjoyed his mother’s home-cooked fare to the extent that he would hire minicabs to have her food delivered to him. When his taxi bills peaked at around £3,000, he decided to teach himself to cook. His speciality is British food with a spicy twist – “it’s got to have chillies in it” – and he describes the finished product as “a party in your mouth”. At next weekend’s British Street Food Awards, the musician will be serving up dishes including chicken tikka linguini from his Naughty Kitchen. The hit-maker has prepared meals for all manner of stars, from Smith – who praised his lamb kofte sandwich as “the best sandwich” he’d ever eaten – to Mary J Blige, who enjoyed his shepherd’s pie so much she took some home with her.